2. Subscription Plan – The drivers can register by opting for commission-based driving option (wallet system) or subscription plan with unique booking limits for different plans. a. It allows easy exchange of information. b. On the home screen of the Passenger App, the passengers and dispatcher can view the live movement of cabs. 4. The Dispatcher Panel is upgraded with enhanced outlook and improved user experience. 5. The GPS issues have been restored with the support of Google for improved distance calculation algorithm. 6. The performance of applications has been improved with reduced server response time, enhanced battery usage with no unwanted API calls, and reduced Internet usage. 7. The sign-up processes has been simplified with the improved UI and UX designs. 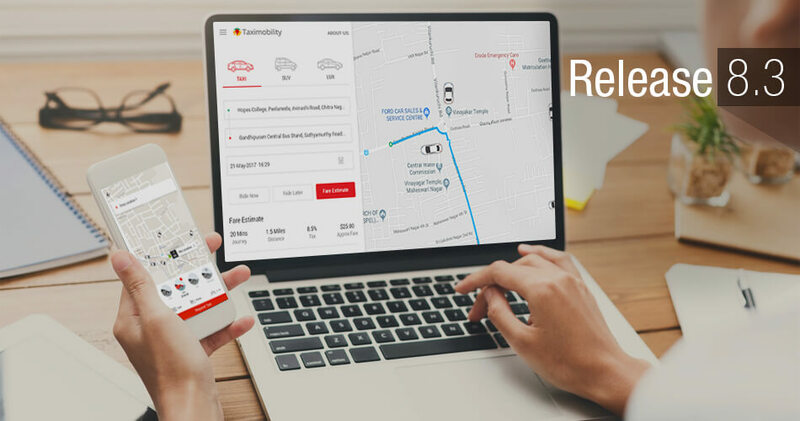 TaxiMobility has crossed several milestones and has a long way to go. On its every version, it has been enriched with unique features that can help the businesses meet the industry standards and achieve greater heights. Stay tuned for more to come!